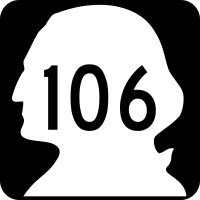 On Sunday, August 15, 2010, I drove Washington State Route 106 along scenic Hood Canal. 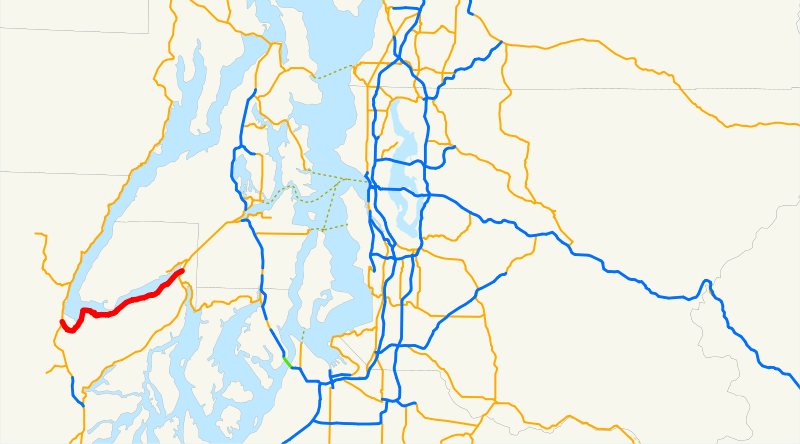 Beginning at a junction with state route number 101 near the mouth of the Skokomish river, thence northeasterly along the southeast shore of Hood Canal to a junction with state route number 3 in the vicinity of Belfair. 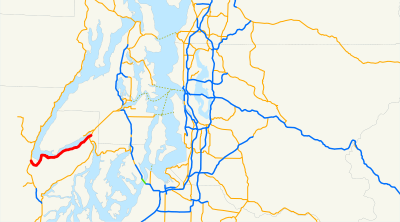 In the Skokomish Indian Reservation in the Skokomish River valley, just south of the southern tip of Hood Canal, SR 106 begins at a junction with US 101. 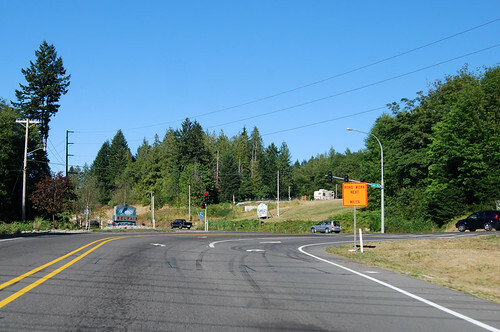 After passing the casino and some closed fireworks stands, SR 106 enters the community of Union, which continues unabated for the next ten miles. With gorgeous views of the water and the Olympics beyond, it's no wonder that this southern fishhook section of Hood Canal is packed with houses side-by-side as if it were a Seattle neighborhood. 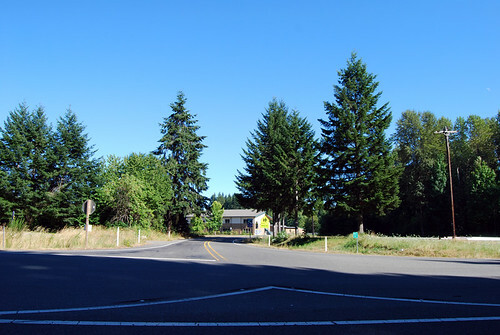 Since SR 106 does not have any junctions along its length, this photo is from the approximate halfway point, just west of Twanoh State Park (which was crowded, I tell you what!). 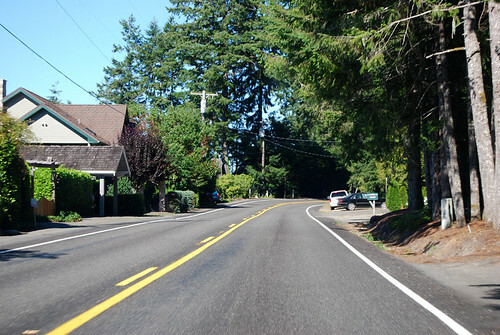 The houses continue all the way to the end of the inlet, which is just before the end of SR 106 at this junction with SR 3. Almost to Belfair, our journey is over. If we could afford it, I certainly wouldn't mind owning a vacation home along this highway, especially on the water side, toward the south end with a really great view of the mountains. Yeah, that'd be nice.